Stir-fry is a classic fast-cooking method. Basically, you combine a (plant-based) protein of your liking with a mix of chopped vegetables in a hot wok and add some flavours: garlic, ginger, low-sodium soy sauce. Top with toasted sesame seeds or cashews and have some brown rice or soba noodles on the side. Simple! If you’re looking for an easy recipe to follow, check out Tasty Yummies’ Vegetable Stir-Fry with Kelp Noodles or this Beef and Broccoli Stir-Fry by StoneSoup. Low-cook, little time. When says you need to cook to cook up a nourishing dinner? You can make a satisfying salad, easy gazpacho or tuna lettuce wrap in 15 minutes or less, without turning on the stove. 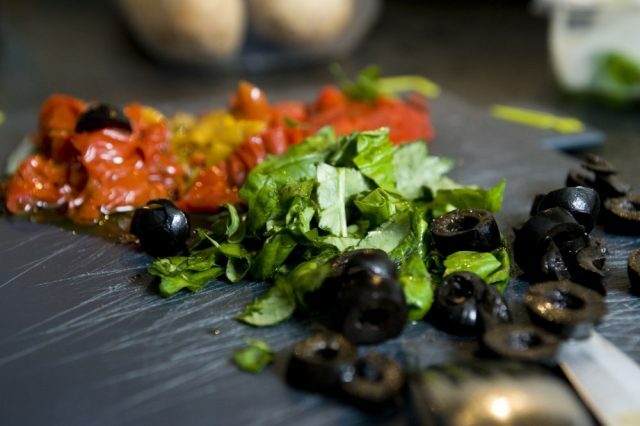 Keep your meals simple, with few ingredients that require little cooking time. Think: a wholegrain pasta with mushrooms, grilled fish with salsa or a microwaved “baked” sweet potato filled with beans, avocado and Greek yoghurt. Foods like couscous, leafy greens and eggs can also be quickly turned into a nourishing meal. For more super-quick recipes, check out Jamie Oliver’s Meals in Minutes and these 50 Healthy 10 Minute Meals from StoneSoup. When it comes to making meals, you usually have 3 options: either you save on time, on money or on effort. For example, cooking from scratch is often the cheapest route, but it takes more time and energy in the kitchen. And while buying pre-chopped vegetables and pre-cut meat from the supermarket does speed up dinner preparation, it’s less budget-friendly. So ask yourself: When you’re feeling worn out, would you rather quickly whip up a meal that requires keeping an eye on the stove, multitasking and leaves you with a messy kitchen? Or would you prefer making a dish that might need a significantly longer cooking time, but requires less effort chopping, monitoring and cleaning up? Buying pre-chopped vegetables and pre-cut meats for stir fries or one pot meals cuts down both on prep time and cooking time. Work smart. Boil water in the kettle while you’re prepping, use a kitchen aid, clean as you go and master some useful kitchen hacks to save you time. Cook once, eat twice. You can make double batches of your meal and freeze the other half for another day. Alternatively, you could also make ‘two-for-one dinners’, by preparing the (more time-consuming) base of dinner and giving it different finishing touches. For example, cook a simple bolognese sauce with mushrooms, peppers and onions. On day one, you eat it with pasta and Italians herbs, while on day day two you add some chili peppers and serve it in a burrito with fresh guacamole. Foil packets are one of the easiest ways to make a healthy meal with basically zero clean up. What’s even better, you can put a wide variety foods in them – from fish fillet with lemon, fennel and olives to caprese stuffed chicken – and make them either on the grill or in the oven. Now that’s cooking made easy! Let the oven do all the work. Meals like this mustard roasted chicken with sweet potatoes don’t require much preparation, they just need to long time to cook. Honey parmesan roasted Brussels sprouts and aromatic roasted vegetables make an awesome (side) dish for pretty much anything. Have you tried one sheet pan dinners yet? This cooking approach takes effortless dinners to the next level. And since the protein and vegetables are baked on the same oven tray, clean up can’t be easier. 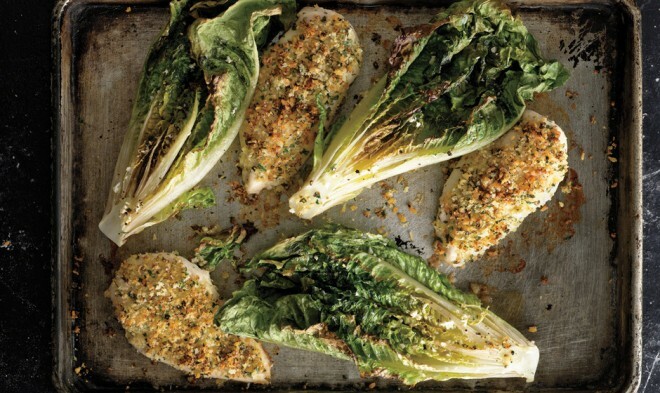 Have a look at this Parmesan crusted salmon with roasted broccoli and chicken with Caesar roasted romaine to start streamlining your meals. It’s not a household item (yet) in Europe, but I know Americans swear by it: the Crock-Pot or slowcooker. Just like the name says, making a dinner with a slow cooker simply means popping the ingredients in and cooking them on a relatively low temperature for a couple of hours. From soups and stews to curries and even delicious desserts, Greatist has listed 77 healthy Crock-Pot recipes to help you put a whole lot of wholesome meals on the table. Think you can only make smoothies and spreads in your blender? Think again. Tess Masters, aka The Blender Girl, compiled a surprisingly versatile collection of whole-food recipes with a blended component in her cookbook. 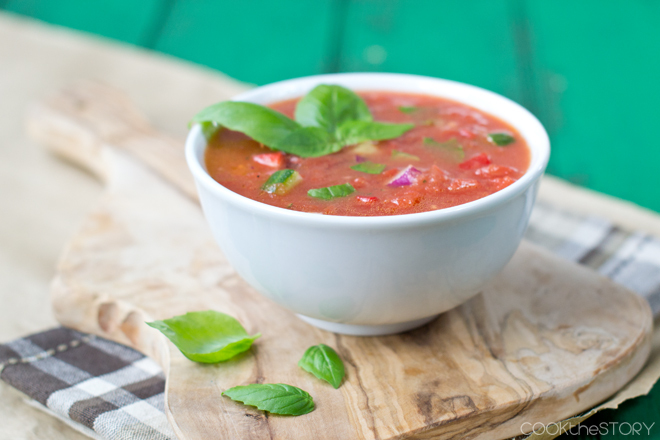 So dust off your machine and while up some raw vegan chili, soups or zucchini pancakes. Knowing what’s for dinner and having some elements ready in advance can save your sanity when you’re rushed for time or low on energy. Create a loose weekly menu (or just for a few days) to save you time with grocery shopping and have everything at hand on weeknights. I wrote an extensive post on stress-free meal planning here. Prepare on the weekends. You could cut up your vegetables and store them in the refrigerator until later use, roast a chicken and use its parts in multiple ways during the week or even cook up a week of healthy meals in under 4 hours! Have a freezer meal session. Once in a while, set aside a Sunday afternoon to prep a bunch of healthy meals in one go and pop them in the freezer. When you know you have a busy and tiring day coming, you thaw your dinner in the refrigerator overnight and heat them up in the slowcooker, oven or microwave. Simple as that. Mason jar meals have been a massive hit in the food blogosphere over the last years. And rightly so: they’re versatile, portable and when you follow some basic ‘rules’, they last in the fridge for a few days. 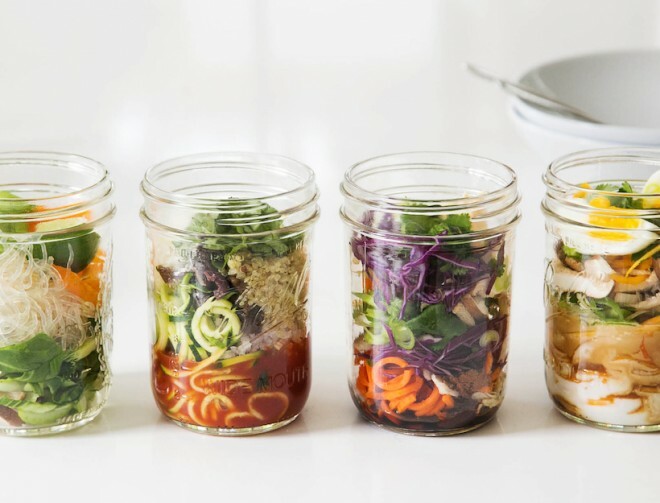 You could pack your jars with colourful salads, replicate a Chipotle chicken burrito bowl or make these ingenious noodle pots from the Hemsley sisters. Have a mental list of good quality ready-made meals and take out menus. What counts as “good quality” all depends on what’s available in your supermarker or delivery area. Deep fried, crunchy or creamy dishes are not the healthiest options; anything loaded with veggies makes a much better choice. Vegetarian curry, chicken fajitas, sushi or salads with the dressing separately are generally considered to be decent take out meals. Heat up some low-salt soup with plenty of vegetables with a slice of (sourdough) bread and a store-bought salad on the side. Have breakfast for dinner! You can blend a green smoothie bowl, make avocado on toast or have some oatmeal with fruit in the same amount of time it would take you to order Chinese. Cooking a nutritious meal when you’re exhausted doesn’t have to take a lot of time and energy – it mostly requires a shift in attitude. With a little determination and planning, heating up microwaved dinners no longer has to be your default mode. 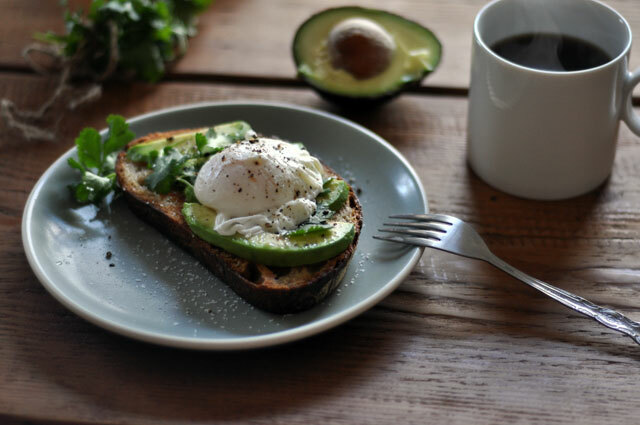 Eating well is one of life’s simplest pleasures and to quote Anna Thomas “it’s a sad waste of opportunity to eat badly” – even (or especially) after a tiring day. How do you put a healthy dinner on the table when you’re tired? Please share your best tips with us in the comments!